I did this because I did not like the “dark” reference to GMOs. I understand what you are saying — of course Bt used both ways has similar possibly impacts on butterflies. I certainly wasn’t trying to attack genetic engineering here (the angry e-mail in my inbox from people who dislike genetic engineering would indicate that many people saw this post in exactly opposite terms.) My goal here was to try and make Bt SOUND as good as possible in the first case and SOUND as a bad as possible in the second, to emphasize the ways that word choices, even when technically accurate, can be deeply misleading. Bt is Bt is Bt, but we can give it a negative or positive connotation by associating with words like natural and chemical. Similarly, we can make its impacts sound good or bad by talking about insect pests or butterflies, even if in some cases butterflies are pests. When I talk about genetic engineering, Bt, and insecticides in general, I make an effort to do as you did in your edits and use clear dispassionate language to try and communicate the facts without a lot of emotional baggage, but in this case I wanted to do the opposite to try and show just how powerfully word choices can color our view of an issue. Point well made Joseph. As to your plea….Jo,dream on! As toBT as far as I know here in UK it is not licensed for amateurs! Joseph, your article strikes a chord with me. I constantly see inflammatory statements about the usage of chemicals and blowers. I do not like using either. I have been a professional landscaper for twenty years, and I use neither willy nilly. Sometimes, after a day of laying stone, moving dirt, planting, and trying to keep track of the outlay of money and time working for a client (and thinking about having to drive home and unload tools before spending time with my family), I will use a blower to clean up. I use chemicals even less, rarely actually. I understand that each one leaves a carbon footprint and affects things down the road (such as glyphosphate showing up in tests of German beer and Californian wines). I get it. I can cause problems. I have never used it and will never use it. You don’t get to have your cake and complain about how somebody else gets their cake. We all have to make a living. It’s what we’re born into. But to shame me and my profession because how we make a living involves unsavory things that are conspicuous is hypocritical. Worse, it’s another blow to those of us who work outside under the scrutiny of people who can watch us and comment on our behavior while they sit in anonymity. Funding is key and room for all types of research. For example 50k was paid to a Garden Professor from a university in Nebraska to be a member of the GP group. The current funding concentration for GP has been supporting biotech – so a disconnect from sustainable research funding and research. Here are grants in the last two years for a member. The goal is to lead research with hard data on the effects of herbicides on pollinators, botanical oils, cinnamon as a fungicide, multi crops, cover crops and organic matter with hard data. How can we bridge the gap? I agree natural is not always safe. 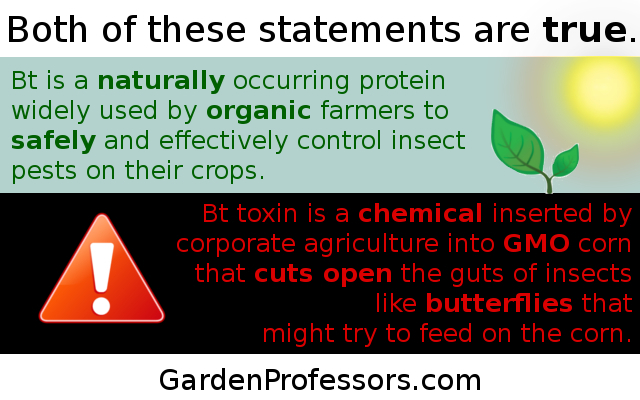 Nicotine and pyrethrums not to mention Bt need studies – must organic farmers are using natural oils. Few consider the hazardous material sheets for products and single botanical oils. It is an interesting time for transparency and transition. From FOIA request WSU EXTENSION (A)	WSU PUYALLUP RES & EXT CENTER (D)	Chalker-Scott, Linda K 1/30/2015	$50,000	The Garden Professors CoP is a recently approved, unfunded CoP, seeking to take over content responsibility for the former pioneer Consumer Horticulture CoP, and its domain extension.org/horticulture. The Garden Professors leadership recently conducted an independent scorecard self-assessment among its leadership team, then compiled the results for an average score of 3.07. The Garden Professors CoP appreciated the scorecard exercise to determine our strengths and areas of needed focus and growth. We recognize the need to increase our membership and to engage with other CoPs that have similar goals and overlapping content areas. Our activities, outlined below and on the attached grid, show our plans to optimize our CoP while working with other existing CoPs. We feel the most work needs to be done in content review and development through engagement of our colleagues that are well known for their areas of expertise. Optimization scorecard assessments for the Garden Professors CoP resources and activities were 2.37 and 2.5, respectively, low scores that we look forward to changing in the coming year. By hiring a project manager, combined with leadership from a content manager (a faculty CoP member), we feel we can make good headway in establishing our CoP as a major contributor to consumer horticulture and eXtension. Other attributes where we scored below 3.5, e.g., evaluation and plan of work, will be addressed with our plan. The only reason I’m approving this nonsensical comment is to demonstrate the dangers of too little information coupled with a conspiratorial outlook. “For example 50k was paid to a Garden Professor from a university in Nebraska to be a member of the GP group.” This is so wrong it’s laughable. eXtension (a multiuniversity consortium) funded the Garden Professors Community of Practice as it was getting started. At that point eXtension funding was being managed by the University of Nebraska. That 50K paid for a staff person and for travel, as well as some other expenses for a year. That funding is long gone. And we don’t have a Garden Professors member from UN. “The current funding concentration for GP has been supporting biotech – so a disconnect from sustainable research funding and research.” Read carefully: The Garden Professors is currently NOT FUNDED BY ANYONE. It would be nice if we were – we could do so much more – but there’s no funding for university outreach education for the gardening public. That huge amount of money you cite (almost $5,000!!!!) is for studying a soil amendment made from recycled materials – hardly a shadowy biotech activity. And that’s my work, not the Garden Professors. “The goal is to lead research with hard data on the effects of herbicides on pollinators, botanical oils, cinnamon as a fungicide, multi crops, cover crops and organic matter with hard data.” Whose goal is that? Sure isn’t mine. I’m surprised you didn’t let everyone know what else you asked for in your FOIA request – information on my (nonexistent) trip to Hawaii, requests for (non-existent) emails between me and Kevin Folta, and other (non-existent) GMO-associated information. It must have been disappointing to find there was nothing to support your unfounded suspicions about what we (I) do. For someone who ostensibly has a background in law, you must understand how you are veering into libelous statements. Thank you for the information. To address your points. 2. You link to Folta often in emails and online posts presented concerning GMOs and even link up the Food Babe request with Folta in your Citizen Science report. You attended many of the sane meetings and spoke together for years. His emails indicated his information that you have referred to often was sponsored by biotech and he agreed to write whatever they wanted him to write and repress research. 3. You noted sustainable science is not your goal. What is the goal then? Recycled styrofoam instead? You are currently working on recycled styrofoam covered in fertilizer as a soil additive. Have you researched the environmental and wildlife concerts with styrofoam? 4. The info had noted that the Garden Professors had taken over eXtension so separated. I see very different goals. Saw you in the Maui news this morning. Natural does not equal safe. Happy Easter and enjoy your trip. Looking forward to your hugel kultur and botanical oil reviews especially after seeing the emails to biotech planning it. Please also share your recycled project info- Are styrofoam pellets much better for the environment? 6. Libel law is difficult on the Internet. I tried to file papers against groups that have been obsessed with my gardening videos – they even instructed the public to block me and other master gardeners. Unless a public position not much I was told can be done. 1. The way that grants work is that one of the cooperators is the PI. The PI’s institution is where the grant money goes for disbursement. It ended in early 2015. 2. I have never attended a meeting with Kevin Folta. Nor have we “spoken together.” This is what I mean by libelous statements. 3. If you read anything that I write you will know that sustainable horticultural science is my primary goal. (Hence the name of one of my books “Sustainable Landscapes and Gardens.”) Where did I state this was not my goal? Recycling styrofoam is a way of keeping it out of landfills. Whether or not our experiments are successful in this regard is not yet determined. 4. I have no idea what this sentence means. 5. I don’t know any reasonable person who would leap to the conclusion that I was in Hawai’i just because a colleague there saw something about me in the news. Had you read the post right below it you would have seen I was actually in Spain. The fact that you stalk my discussions with friends and colleagues is mildly disturbing. Not sure what “biotech” is. Do you mean “HortTech?” That’s the name of a journal. 1. Thanks for confirming trip to Spain not Hawaii. I had asked about details from the article that was featured in Hawaii claiming organic not safer than nonorganic but no details released. 2. You had been featured on a question and answer on GMOs along with Folta to be featured at different times representing Skeptiforum so had requested details about it. 3. I wanted to follow up on the WSU lab testing for CityMix Native Mix styrofoam soil – you noted you haven’t finished the lab tests yet on this thread but yesterday was told in a report signed by you – conflicting information no lab tests in process for CityMixNativeMix What was the $4662 used for if not lab testing by soil engineers? The grant says to Linda Chalker- Scott. Confused that they say WSU lab tested by soil engineers -is it another department then that conducted the tests? Where can I get more info about it? I haven’t done lab tests on the material. We are doing greenhouse trials to see how well the mix works with plants. I have a technician who is managing the plants. The money goes to buying plants and to paying her salary. I have no idea who the soil engineers are. You would need to contact CityMix directly. In the past you have not recommended poly gels or rubber mulch because of the environmental concerns. My hope is that you also wrote a review discussing the concerns with styrofoam being highly flammable when combined with dust and extreme toxic to wildlife. My hope is that the policy for not recommending petroleum products in the garden remains consistent. Your rubber mulch and poly gel reviews are very informative with environmental considerations included. Love it. Whenever I talk to people about the pests in their gardens, I always try to encourage them to drop the euphemisms and call a spade a spade… so to speak. Poisons should be handled with care – whether or not they say “natural,” “organic,” or “safe” on the label. I think it’s OK to use poisons sparingly, with careful judgement. I hope people won’t use them continually or become reliant on them just because they’re labeled with a certain buzzword. Previous Previous post: Fight the tyranny of spring!